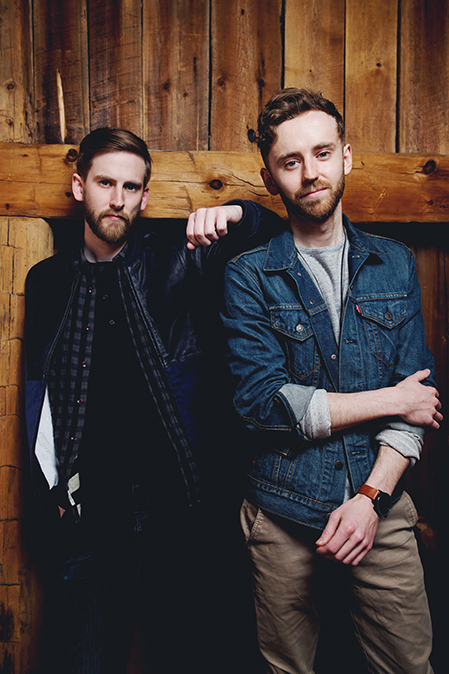 Classical music meets modern pop! Violinists Tatiana Glava and Melissa Priller, violist Ion Zanca, and cellist Young Heo take you on a journey where Beethoven and Bono collide! 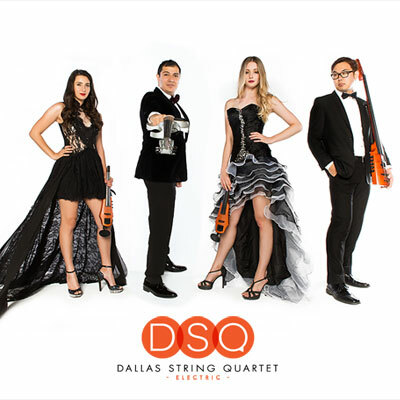 Having played alongside Josh Groban, Chicago, and the Trans-Siberian Orchestra, DSQ is electrifying and definitely “NOT your grandmother’s string quartet,” says the Wall Street Journal. 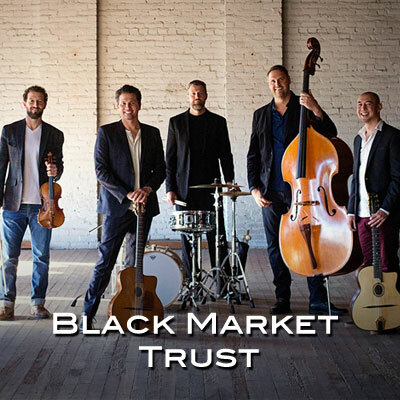 The Black Market Trust concert originally scheduled for November 15, 2018 was cancelled and has been rescheduled for Sunday, February 24 at 7:30 PM. greatly appreciate your understanding in this matter. 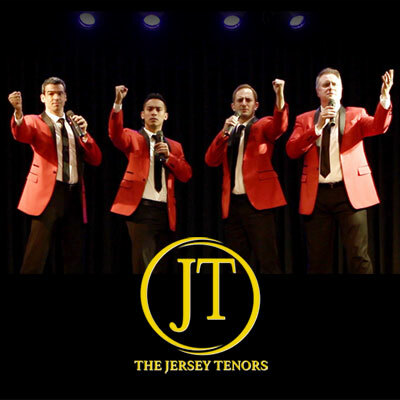 Please bring your original Black Market Trust tickets for entrance to the February 24th concert along with lots of enthusiasm for this red hot musical group! Two distinctly different vibes—one a gypsy campfire, the other a slick metropolitan nightclub—come together with the Black Market Trust. 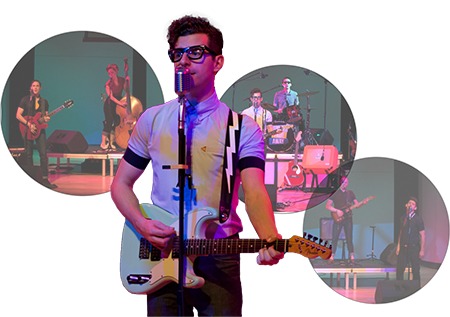 Five world-class musicians merge their love of everything from the Mills Brothers to the Beach Boys, from Sinatra to Lennon/McCartney. Lead guitarist Jeffrey Scott Radaich, touted as one of the most innovative American acoustic gypsy jazz guitarists, will amaze you with his talent and energy. Red hot, polished, crisp! When searching for entertainment you might find you are looking for something specific, but why not get it all? Johnny Magic strives to not just be another magic act, but rather an experience that unites the audience as one. His show is split evenly between magic, comedy, and audience interaction, giving audiences the ultimate entertainment experience! Throughout the show, Johnny Magic will offer family-friendly comedy as well as audience interaction that brings the crowd together as one. Whether it’s a theater show, casino show, fair, school, or theme park: audiences will experience the combination of “Vegas Quality Magic” and “Branson’s Family-Friendly Comedy” that only Johnny Magic can provide! 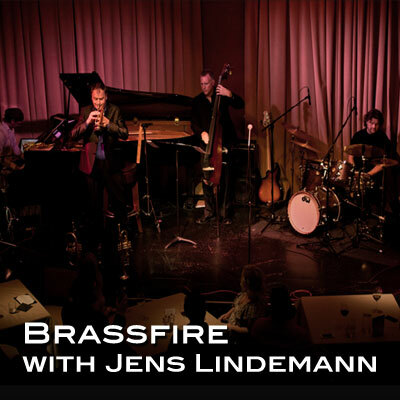 Jens Lindemann is hailed as one of the most celebrated soloists in trumpet history. He has played every major concert venue in the world, including New York, Los Angeles, London, Berlin, Tokyo, even at the Great Wall of China! With his backup trio, he brings us tunes from Duke Ellington, Dizzy Gillepsie, Rodrigo, River Dance, and others, played on his 24-carat gold-plated trumpets!